If you remember the old “Life” cereal ads, they featured kids who didn’t want to eat Life cereal because it was “good for you” so who would like that? Test it out on “Mikey”, the hyper critical eater—”Give it to Mikey, he hates everyhing!” And surprise, surprise, Mikey likes it. So it is with Spotify. Mikey may eat it, Mikey may even proselytize about its wonders of valuation, but Spotify is not only not good for you, it’s actually bad for you. The good news is (maybe) there’s something every artist can do about it. Unless, of course, they listen to “Mikey”. Here’s the proposition: From a financial point of view, Spotify’s payable royalties are neglibible–marginally better than a pirate site. (See “Streaming Price Index“) Spotify is, of course, a licensed service and it is encouraging to see investment pouring in to its coffers. Make no mistake–we’re happy it exists. The unfortunate thing is that Spotify is another example of reacting to massive piracy with a business model that in the long-term is nearly–although not quite–as unsupportable as the piracy it promised to help fix. Except with Spotify it is the artists (and not the users) who create all the value and get none of the profits. Like other Web 2.0 darlings, the tech oligarchs build the platform, create none of the content and will get the lion’s share of the profits on Liquidity Day. Spotify is just a couple compass points away from oligarch status—call them mini oligarchs. In the meantime, Spotify profits from the artists and pay a laughable royalty in return. So in the words of a famous revolutionary, what is to be done? First, consider whether there is any benefit from being a Spotify stockholder. We think we will see that there is not much financial benefit. Then we consider how you can keep your music off of Spotify, even if you are a major label artist. Then we consider how you can force the company to pay a fair rate. What if Artists Were Stockholders? So who makes money? First and foremost—Spotify employees starting with Daniel Ek. These guys get a steady paycheck and have equity in a dark future for artists. Next, venture capitalists who are the 1% of the 1% don’t forget. These VCs, especially Silicon Valley VCs, are some of the richest people in America who nearly single handedly brought you the stock market crash of 2000 when the last tech bubble popped in a frenzy of irrational exuberance. And of course, another group of Spotify stockholders are the major labels who extracted equity ownership in the company in return for licensing catalog at ridiculously low royalty rates. The fairly consistent rumor is that the labels own 18% of Spotify, which at its most recent valuation of $4 billion is worth $720,000,000. Here’s the twist—because the deal with Spotify is for the entire catalog of each label and not of any particular artist, it is doubtful that any artist will ever participate in that 18% equity. If you think of that 18% as being subject to the 50/50 net receipts allocation (the issue in the Eminem case), there’s a very easy fix to this. Spotify can allocate another 18% of its equity to an artist stock pool. Artists would not need to own that pool, but it could be held in trust for all artists who ever have participated in Spotify and all artists who will participate in Spotify before the “liquidity event” that would turn that stock into cash—an IPO or acquisition, typically. All other terms of stock ownership could be on the same terms as the labels. 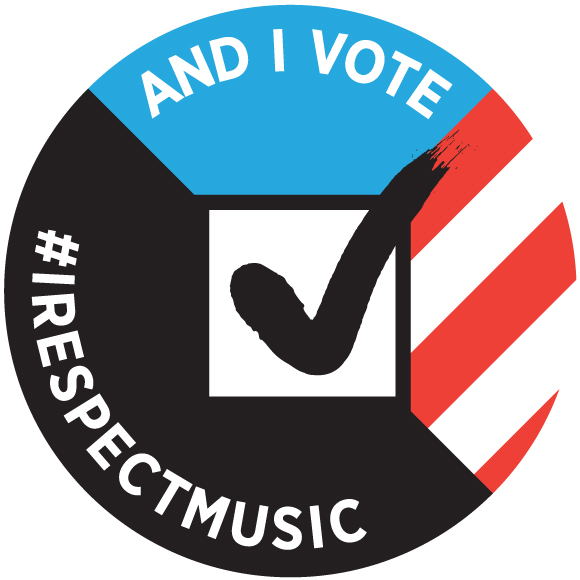 And, of course—an artist would be appointed to the Spotify board with full voting rights to vote the full 18% block of shares. These don’t have to be new shares—Daniel Ek and Spotify can hand them over from previously issued stock to give to Spotify’s artist “partners” an incentive to stay with the company. Next: Part 2 Could Artists be Stockholders? To be clear—no one artist would own any of the shares, but by signing up for Spotify they would have a right to the proceeds from the sale of these shares based on being a participating artist. This is because each artist—particularly new artists—on an ownership basis is as important as any other artist. The artist stockholders would then have a say about royalty rates based on their board seat, a minority voice to be sure, but a voice nonetheless. A seat, by the way, that should be held by an artist, not a manager or lawyer as the “artist representative” but a bona fide artist. So if 18% is worth $720,000,000 and the sale occurred today, and assuming there are 200,000 qualifying artists on Spotify, then each artist would be entitled to $3,600 (less some administration fee for the true transaction costs). Even though this money would be paid off contract (a meaningful concept to unrecouped major label artists), it still does not amount to much. Now—this is not a particularly exciting number. Even if you allocated these funds based on aggregate streams by artist, you would essentially be letting the major labels off the hook with their own artists to share any of these proceeds with them, and even then it is unlikely that this calculation would result in a life-changing amount of money comparable to the return to the venture investors. So another way that Spotify could do this is to agree to pay out a certain amount of money to each participating artist that would be something in the range of $25,000 to $50,000 each. Because you know what’s cool? A billion is cool. Spotify is actually very similar to the old record club model—the labels owned the company and they made significant revenues on hit product sold through the record club at a reduced royalty rate for both artist royalties and a ¾ of ¾ royalty rate for mechanical royalties. It was common for record companies to agree to give a 90 day hold back on record club sales, meaning 90 days from the U.S. release, and in some cases that date could be pushed out as far as 12 months, or in some cases a “reasonable time”. There really is very little difference between the functional issue that gave rise to the record club holdback. The record company wanted to sell the artist’s recordings in a way that profited the record company more but paid the artist less, and the way the artist protected themselves from this arbitrage was to create a window where the record company could not cannibalize front line sales. 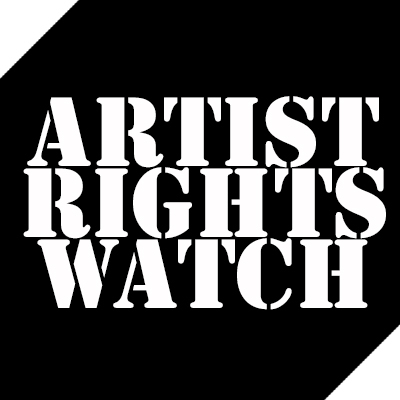 An artist could also ask for downside protection on streaming services that would require a minimum payment of a penny rate to the artist. This is in part because it is very difficult to get record companies to give the artist the digital service accountings on audit, so at least if there were a per-play minimum, the artist could essentially handle the streaming service in a simple desktop audit of penny rate multiplied by number of reported streams (assuming the artist can even extract that information). This is, to be clear, an issue for artists negotiating with a label or a distributor, less so for an artist with a digital aggregator. For example, an artist could ask for a ad-supported service holdback of 12 months from the U.S. release date, and a per play royalty of a minimum of 1¢, going to 2¢ or more if the holdback was violated. This would mean that if the label violated the holdback and allowed the ad-supported service to stream the title during the 12 month holdback, then it would cost the label a penalty. Spotify’s business model is actually the kind of extraordinarily short sighted economics that you see from people who don’t understand the business they are in. Take Walmart for example. They drive a hard bargain, but they are not trying to leverage themselves off the back of thieves. Walmart doesn’t say to its suppliers that Walmart is better than the alternative of being robbed blind, but will only make the benefit so incrementally tiny that the supplier will go out of business at that rate. This is the commoditization rate, or what we call “less than zero” pricing. This sounds just fine to someone whose salary is guaranteed by venture capitalists, but makes no sense for the artists—and they are leaving Spotify in droves. Walmart knows that they succeed when their suppliers succeed and the consumer succeeds. The pricing that Walmart pays to suppliers is based on buying power and a mission of offering consumers low prices, meaning that everyone in the chain takes a little less and truly does make it up on volume. That method is not for everyone, which is why you don’t see just every brand in Walmart. Spotify’s valuation is based on a business model that is inherently unfair to artists, producers and songwriters. This accounts for its low conversion ratio—it’s a couple points away from a pure pirate service and has failed miserably in the one thing it had to do to justify its existence: convert free to paid customers. And even if it did succeed, that would be the worst possible world for artists, because there is little difference in the functionality of a top tier Spotify service and buying a download from iTunes–aside from the price paid to the artists, producers and songwriters, of course. There is even some evidence that suggests that fans who were buying downloads are shifting to Spotify’s free service and substituting away from paying for downloads legally to a free legal service–the exact opposite of how Spotify has sold its service to artists as the “piracy buster”. Since it is unlikely that Spotify will give what we have seen will inevitably an unexciting stock opportunity or board seat to an artist, and since the hold back negotiations will likely take a while to get through the deal process to become the standard that the record club holdback became, what can we do right now to affect behavior at Spotify? 1. True-up payment: Given that Spotify has gotten to the point that it can raise more money than it needs and intends to continue on a growth juggernaut based entirely on the value of its artists, Spotify needs to distribute out a kind of dividend to the participating artists. This should be a significant payment, hundreds of millions. It would acknowledge that Spotify knows that its valuation is based on artists, producers and songwriters and not based on tech oligarchs. Labels and publishers should allow this payment to flow directly to their artists and writers, i.e., not apply it against unrecouped balances. Since Spotify is raising money it doesn’t need, Spotify can afford to establish a fair royalty for artists—even something like 1¢ per stream for artists and 1¢ for songwriters. This would reflect the co-equal copyrights of songwriters and artists. Spotify should also gross up its royalty payments to pay pension, health and welfare to AFTRA and AFM in the US and comparable unions in each territory where it operates. Spotify should make all of the royalty accounting back up available to each artist and label online. This will make auditing easier for both the labels and publishers auditing Spotify and the artists and songwriters auditing their respective label and publisher. We like a little affection when we’re getting screwed.